Jane and David had a small lifestyle farm next to a going-nowhere, country road. Chickens would not infrequently get run over while dust-bathing in the unkempt, pot-holed road. 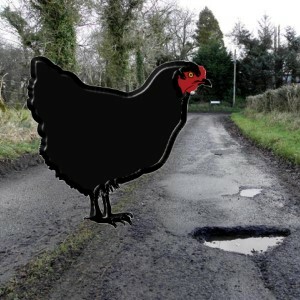 One day, their favourite little black hen was run over, leaving seven babies motherless. “Did you get the complaining letter in your mailbox?” asked Farmer Eric of Farmer Phil.